The most useless appliance of 2013! Every year I peruse the hundreds of Christmas catalogs that overflow my mailbox — especially the Bed Bath & Beyond circular — to determine the most inane appliance that’s being marketed as an amazing holiday gift. This year, the winner is the Cake Pop Maker! 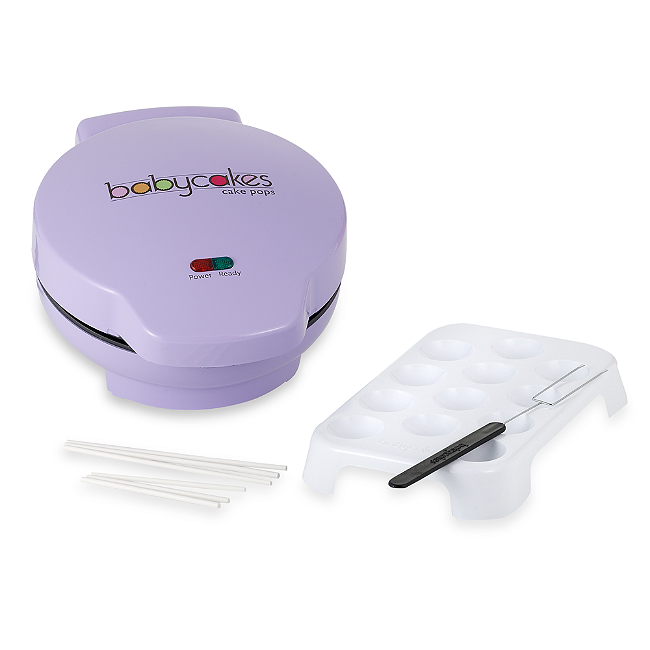 So, while I see cake pops in Starbucks and assume there’s a market for them, I didn’t realize they were sweeping the nation to the point where there’s a need for a dedicated appliance to make bite-sized cakes that then need to be pushed onto a stick and decorated. I don’t really get it. I guess it’s for people who want a little bit of cake, and are afraid to have entire layer cakes at their disposal. But, really? If you make 12 cake pops and decorate and eat them all, you might as well have enjoyed a fabulous slab of decadent devil’s food. My prediction is that, as early as next year, yard sales and Goodwill stores will be full to bursting with rejected, unused cake pop makers — right next to the discarded quesadilla makers, panini presses, flavor injectors and salad shooters. Or anything else by Ronco. And guys? Just in case you’re desperately seeking a last minute gift for your girlfriend, and somehow think the cake pop maker is the answer to your question, say no. There are better ways to spend $17.99. Ways that won’t elicit a breakup. I love my cake pop maker! It was great for bringing treats at holiday gatherings… yum! It is not bad as much your are saying about it . It is a useful appliance that can be used to enjoy for small parties i am using it for my weekend and my family enjoyed the cake made with it .